This is the 1st post for Cabin, the React & Redux Example App Tutorial series created by Stream. The final result of following this series is your own feature-rich, scalable social network app built with React and Redux! Ever wanted to build a photo sharing social network exclusively for cabins? Made with React and Redux? Yes, of course? Well, you have come to the right place. This introduction is intended to start you off easy – and we will be focusing on getting you setup with the Cabin project files, and teach you the very basics of your workflow. The server-side API is contained in the /api directory. Note: npm command not working? Install Node. The React application is contained in the app directory. Our application is divided into two major components: app and api. app is where our React application lives, and api is where our Node application lives. We won’t go into depth about our Node architecture too much – but here’s a breakdown of our application structure. Open index.js to see most of the setup work for our API. routes contains our URL routes that we’re creating with restify. Inside our routes, we’re making queries to a MySQL database via node-mysql. All the excitement that is our React and Redux application is living in the app directory. The heart of our application here is in modules. Here is where our React and Redux application lives. actions: The location of Redux Actions. “Actions are payloads of information that send data from your application to your store.” You will learn all about Actions in the Redux post of the series. components: At the core of React are Components. They are located in this directory. reducers: Redux Reducers. Reducers specify how the application’s state changes in response to our Actions. routes: React Routes (react-router allow us to set up routing to our React Components. You’ll learn more about both react-router and Routes. utils: This directory contains our reusable utility components – such as Keen Analytics events, in the case of our app. There are several more components to set up before we can run our app. Let’s start with our database. We’re using MySQL for a database. Let’s install that if you have not already. Tip: If you do not have Homebrew (brew) – you should go get that! If you are on Linux, find out how to install for your distribution (Ubuntu, Red Hat, etc). Note: The above example is for the default MySQL configuration with Homebrew. If you are on Linux, another platform, or changed your default credentials, you need to perform import action with the credentials that were set up. Check out this Stack Overflow post for more information. Stream is powering your Cabin newsfeed, notifications, and more. If you have a Stream account already, skip this step and move on to the Stream Dashboard. Next, in the Dashboard, click “Create App” at the top right. 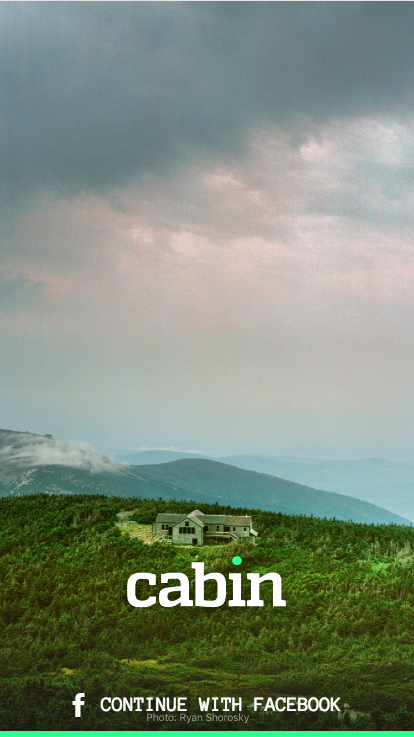 Name the app “cabin_[your_name_here]”. Copy your App ID, Key, and Secret. These will be added to the env.sh. In order to get your application up and running, we’ll need to modify and source the env.sh file that is located in the main directory of the repo. Tip: If you are on a default Homebrew install, your username is root and password is root. Running Webpack is key to running our application. Follow the steps below! Unfortunately, we can’t play around with your new app yet. 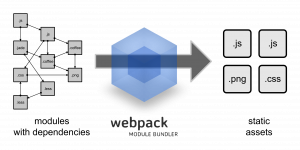 So, let’s stop here – and go over Webpack a bit. Note: If you really want to play around – head over to the demo application! 3x Extra Credit: Check out Tyler McGuinness’s React.js Fundamentals program. He covers the basics of Webpack, and a whole ton more. Highly recommended.